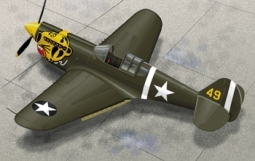 The P-40 design was a modification of the previous Curtiss P-36 Hawk which reduced development time and enabled a rapid entry into production and operational service. The Warhawk was used by the air forces of 28 nations, including those of most Allied powers during World War II, and remained in front line service until the end of the war. 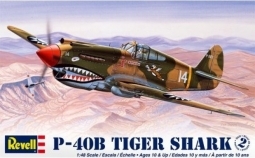 It was the third most-produced American fighter, after the P-51 and P-47. 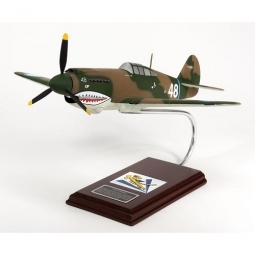 When production of the P-40 ceased in November 1944, 13,738 P-40s had been built. Scale 1/32 Wing Span 14-1/2" Length 12-1/4".